The study is broken down into 5 challenges: (1) Overindulgence, (2) Debt Control, (3) Misplaced Trust, (4) Family Issues, and (5) Wealth Preservation. Not only does it dissect the root causes behind many of the financial issues experienced by many professional athletes, it also lays out 5 action steps for success. These include (1) Build the Proper Team, (2) Advisor Trust Guide, (3) Tax Planning, (4) Protect Your Assets, and (5) Create a Financial Plan. At the end, it instructs athletes that the choice is theirs—whether they want to "live large for a few years" or "live comfortably forever." With our synergy and shared mission to educate, we decided to put our heads together to produce a information-packed podcast that would keep professional athletes educated in topics affecting their personal and professional activities. Each broadcast will contain 3 segments, one of which will focus on personal finance, as well as a special guest. The broadcast will feature a wide-range of topics including personal finance, sports psychology, decision making, family, human relations, public relations, image branding, and numerous others related to successfully navigating the landscape of being a pro athlete and the many challenges that come with it. The fact is if you want to become a successful pro athlete, you have to invest as much time and energy honing your "off-the-field game" as you do with respect to your actual game on-the-field. For our first broadcast, we talked about the predatory lending targeted at NFL players in light of the lockout, decision making skills, and for our special guest, we had on my good friend and renowned Clinical Sports Psychologist E. Patrick Miller. E. Patrick has worked with high school, collegiate, and professional and Olympic athletes, as well as numerous NBA, NFL, and MLB teams for over 25 years. Since the 2003-04 season, E. Patrick has served as the Health & Wellness Coach for the Los Angeles Lakers and Clinical Consultant to legendary former NBA coach Phil Jackson. He is featured as "The Therapist" in Phil Jackson's most recent and seminal book "The Last Season: A Team in Search of its Soul," and was given the nickname "The 'Zenn' Coach: Living in The 'Zenn' Zone" by the Zen Master himself, Phil Jackson. With over 20 years teaching transcendent and integrated meditation, E. Patrick discusses playoff psychology and shares his tips on how to get in the "Zen Zone" and then stay there when the pressure is at its greatest. Go ahead and listen to the May podcast. You can also subscribe to the Podcast RSS feed or download the podcast on iTunes. Next month, we will be doing a special lockout edition for rookies in wake of the NFL cancelling its Rookie Symposium on May 24 due to the ongoing lockout. We applaud the NFLPA for announcing today that it will hold its own two-day educational program—"The Business of Football, Rookie Edition"—from June 28-29 in which all 254 rookies have been invited. Like the NFLPA, we also wanted to do our part to help fill the void, so look out for this special edition in June. 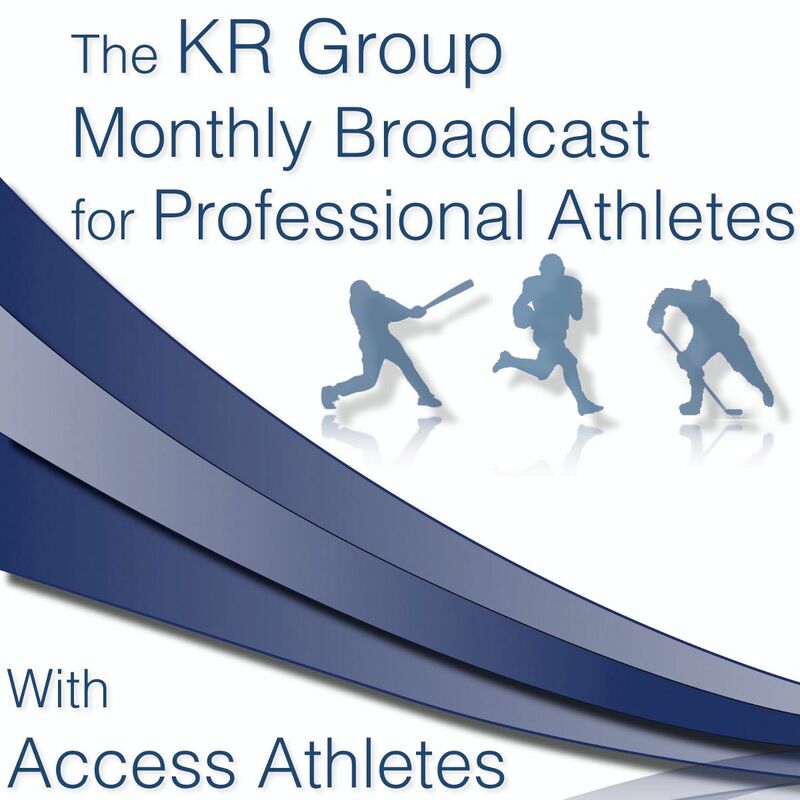 In the meantime, if you have any suggestions for future topics or would like to be a guest, please contact me at matt@accessathletes.com.